You have to remember that this is 20 years ago. There wasn’t an organic produce section in a supermarket, never mind in the drugstore or in the spa, wherever people were buying skincare products. How did we get here? We all have a “spa journey,” no matter what our association with the spa world: the stories that bring us together, whether we are a spa guest, a massage therapist or esthetician, or running a business. They are what unite us. Of all of the spa stories we have and will cover in People of ISPA, few are more inspiring that of Boldijarre Koronczay. 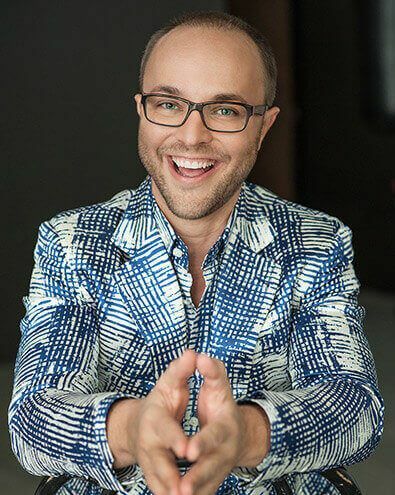 Boldijarre, the French spelling of the name Balthazar, is now one of the best-known faces in the spa world, chief executive of a successful skincare company and one of the most in-demand speakers at conferences around the world. His trademark infectious laugh and love of practical jokes (he once considered a career as a comic) belie a childhood struggle with potentially fatal disease, and a longer and equally difficult struggle to find business success. After leaving high school and having been rejected as a trainee pilot (“I am blind without my glasses”) Boldijarre enrolled in esthetician college in Budapest. An unusual career move – male estheticians were rare even in Hungary, a nation with one of the longest and proudest spa traditions in the world, dating back to when the Romans built baths across the country. By the time Boldijarre had graduated the Soviet Union had broken up, and for the first time in half a century young Hungarians with a thirst for adventure could leave the country with ease. For Boldijarre and his brother Attila (who had just completed an engineering PhD), the opportunity was too good to pass up. So they packed their bags and took their business dreams to Vancouver. Famous last words, because the next struggle was only just beginning. Boldijarre soon discovered that, even in 1996, the spa world had very little interest in organic products - even if the industry was arguably still in its infancy, at least in the USA and Canada, and certainly in comparison to Hungary. It wasn’t just the immature market that was a problem. Organic skincare was unheard of and demand was entirely for synthetic products. As we know, demand for organic food and healthcare products has changed, just a little, since 1996. With that change, Éminence has become a household name, at least in the spa world. Boldijarre too. What hasn’t changed is his acknowledgement of where he came from. He returns to Hungary on a regular basis, where many of his product ingredients are grown at family-run farms like the ones that helped him through his childhood. One of the wonders of our industry’s growth in the last two decades is the diversity of its people and the diversity of their spa stories. For people like Boldijarre, the destination has proven just as important as the journey.